Aluminium electric oil Aluminum smokey gray windows and lights-up orange. Aluminium electric oil warmer smokey gray Aluminum chinese design windows and lights-up orange. Aluminum electric oil warmer smokey gray with design In windows and lights-up orange. Aluminum electric oil warmer smokey gray design windows and lights-up orange. 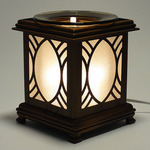 Aluminum electric oil warmer ornate squares design on windows. Aluminum electric oil warmer light brass color oval design on windows. Aluminum electric oil warmer dark brown chinese design on windows. Aluminum electric oil warmer dirty brass windows. Aluminum electric oil warmer dark brass french design on windows. Aluminum electric oil warmer light brass french design on windows. Aluminum electric oil warmer dark brass chinese design on windows. Aluminum electric oil warmer dirty brass with chinese design on windows. Aluminum electric oil warmer with double-hearts on the windows. Aluminum electric oil warmer golden brass with ornate cross on the windows. Aluminum electric oil warmer smokey silver with ornate hearts on windows.